The Parlux 3500 Super Compact Ceramic Ionic Hair Dryer is exceptionally small and remarkably powerful. The combination of ceramic coated components and negative ion production dry at super fast speed, without drying out the hair’s external structure. The incredible technology within the Parlux 3500 Super Compact Ceramic Ionic Hair Dryer preserves the natural moisture in your hair, making it shinier, softer and healthier. 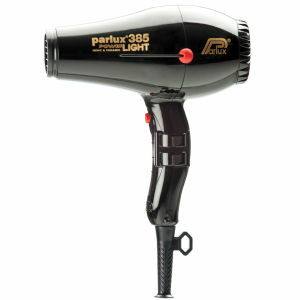 Neutralising static electricity and leaving hair silky, the Parlux 3500 is light, balanced, quiet and just 17cm in size. To meet the needs of today’s professional stylists and discerning home users, Parlux has created the 3500 to provide greater durability, higher power, lighter weight and smaller dimensions. Never before have all these goals been achieved in a single appliance – the Parlux 3500 Super Compact Ionic Hair Dryer! All Parlux professional dryers are fitted as standard with three metres hairdryer cables, and feature a carefully crafted handle which has been designed for perfect balance, easy use and greater control of the dryer. Legendary Parlux reliability comes as standard. Love Parlux ! This is my second Parlux for my overseas stays and travelling. I purchased the 3800 ionic & ceramic a few months ago and when I needed another travel hairdryer, the decicion was very easy. 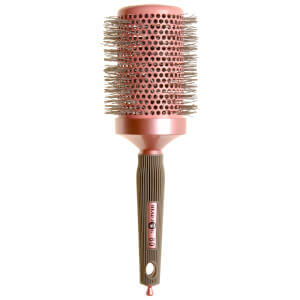 This' Parlux 3500 super compact ionic 'is super compact, powerful and dryes your hair in max of approx. 10 minutes without any frizz, thanks to the ionic technology. Even my husband told me " the best one ever". Once you go "Parlux" you don't turn back!! if you are looking for one of the top good quality-but-not-really expensive hair dryer this one is the right one, even for professional use or using it at home it is really worth it. compact and extra light so your arm will not get tired easily. I recommend this hair dryer to everyone. 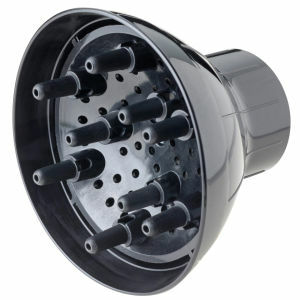 I've had a couple of Parlux hair dryers and this particular model has not lasted long. It blew-up today after not particularly heavy use and only a couple of years. Compared to the other one I owned for about 10 years and which is still being used by my sister, this model's short life is a disappointment. Super fast drying. Nice and compact, light and easy to use. Definitely worth the money, would absolutely recommend! Best hairdryer money can buy! Great dryer , i have always brought Parlux as great power and quality .....wanted this one because of its size and iconic features ......not dissapointed .....ideal for me to take away instead of my bigger version ........reccomend ! really pleased with the product, dries my hair in no time. Dryed my hair much quicker than other hairdryers. Took me a long time to save up for this but well worth the wait! Was a bit hesitant at first because I have tested quite a few hair dryers but I have to confess this is the best hair dryer! I have very long hair & I was so pleased with the finish result ! Others even noticed enough to comment! This is indeed a clever bit of engineering!